Yerachmiel was raised in Northbrook, IL where he starred on the Glenbrook North football team. He spent time learning torah at Skokie Yeshiva, Yeshivat Hakotel, and Isralight. Yerachmiel received his BA from Brandeis University, where he majored in Psychology and Near Eastern Judaic Studies. He chose to attend Yeshivat Chovevei Torah Rabbinical School after meeting and being deeply inspired by Rabbi Avi Weiss. After finishing his studies at YCT, Yerachmiel became the rabbi of Congregation Beth Shalom in Red Bank, NJ. During his 2 years at Beth Shalom, he was able to double the shul’s membership. More importantly, he served and inspired hundreds of Jews living on the Jersey shore. He introduced new programs such as the Red Bank Jewish Reggae Fest, the Shofar Blowing Contest, Latke Fest, and community Shabbat dinners. 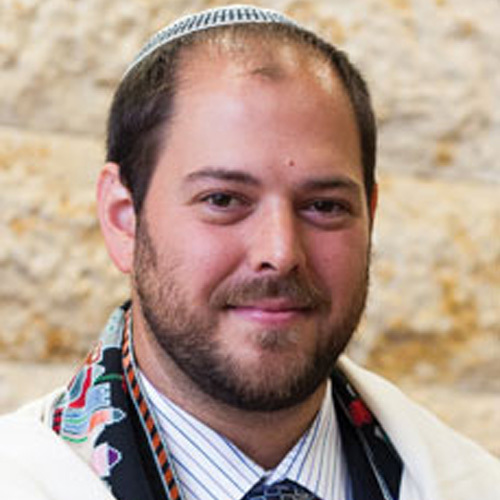 In June of 2010, Yerachmiel became the rabbi of Moses Montefiore Anshe Emunah Congregation in Baltimore, MD. The transition to a large shul was a welcome challenge and MMAE has flourished and grown under his leadership. He is genuinely loved by his congregation, but even better, he absolutely loves them.